Douglas County RideShare: Providing Alternative Transportation to Residents ~ Fun Food Life! 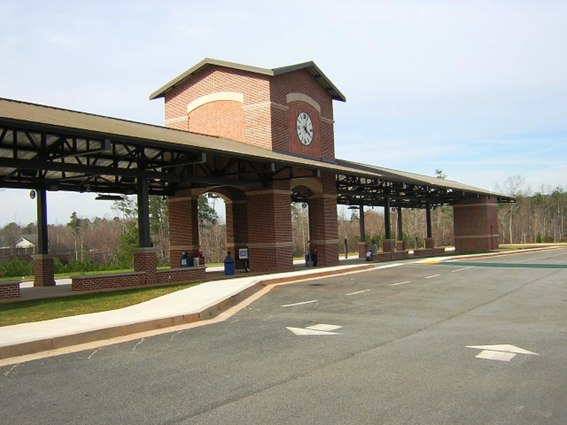 The Transportation Center serves as a multi-modal hub for VanPools, Carpools and Express Bus Service and is open Monday through Friday from 5 a.m. to 7 p.m. There are 650 parking spaces for residents who use its services. Douglas County’s RideShare program currently operates 42 daily vanpools to locations throughout the Atlanta metropolitan area. Riders meet vans at central locations scattered throughout the County to be driven to work. Vans drop off and pick up riders near their work destination and return riders to their original departure location. Vans depart from central locations throughout the County Monday through Friday some where between 5:00 a.m. and 7:00 a.m.
Vans return to Douglas County some where between 2:30 p.m. and 5:00 p.m.
A sample of vanpool pickup locations include Thornton Road, Post Road, Brownsville Road & Hwy 92 (old SaveRite parking lot); Publix at Chapel Hill Road; KMart shopping center parking lot on Hwy 5. A sample of vanpool destinations include the Federal Correctional Institute in Talladega, AL; Alpharetta/GA 400; the Atlanta Airport; Buckhead; Downtown Atlanta; Midtown; Cobb County; Decatur; North Druid Hills; Norcross; Perimeter Center. See the Douglas County Rideshare 2008 Route Schedule to view a current and comprehensive list of vanpool routes. Costs for vanpool services range from $60 – $108 a month based on the round trip mileage of the commute and related parking costs (if required). 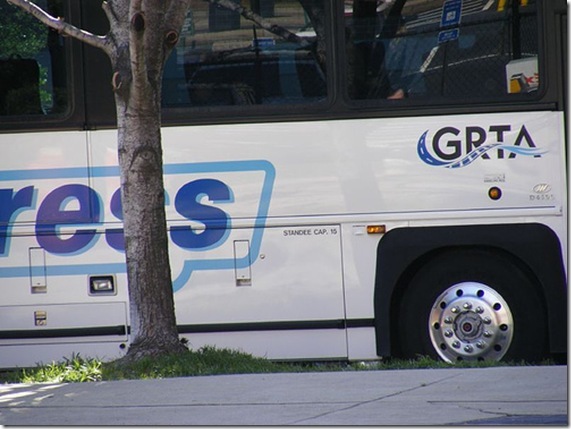 The Georgia Regional Transportation Authority (GRTA) provides express bus service to Douglas County residents Monday through Friday known as XpressGA. Buses are luxury coaches with plenty of legroom, reclining seats, luggage racks, electrical outlets in some cases and reading lamps. Morning departures occur between 5:30 am and 7:30 am in 30 minute increments. Ivan Allen, Jr. Blvd. at Alexander St.
West Peachtree St. at Civic Center MARTA station. Commuter coaches leave the Civic Center MARTA station around from 3:10 pm to 5:45 pm, with subsequent coaches leaving in 15 to 30 minute increments. Mithcell St. at Washington St.
Route 460 includes two reverse commute coaches from the Civic Center MARTA Station to the Transportation Center and Arbor Place Mall in the morning and two returning from Douglasville to Civic Center MARTA station in the afternoon. West Peachtree at 14th St.
Five coaches return in the afternoon. Pryor St. at Alabama St.
Route 461 includes two reverse commute coaches from the Civic Center MARTA Station to the Transportation Center in the morning and two returning from Douglasville to Civic Center MARTA station in the afternoon. Roundtrip tickets cost $5 and one way tickets cost $3. Senior Citizen discounts are available. XpressGa provides free transfers to MARTA at any MARTA stations that are served by XpressGA. Xpress coaches are wheelchair accessible. 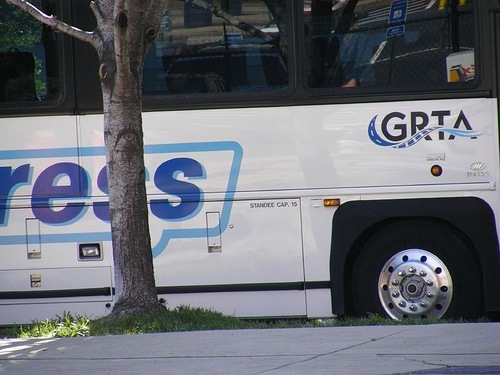 For more information on this service, see www.XpressGA.com. Rideshare maintains a list of people who have expressed a desire to carpool and will attempt to match you up with people who work in the same area and who work the same hours as you. Rideshare also participates in the Atlanta Regional Commission’s RideSmart program (formerly known as 1-87-Ridefind). 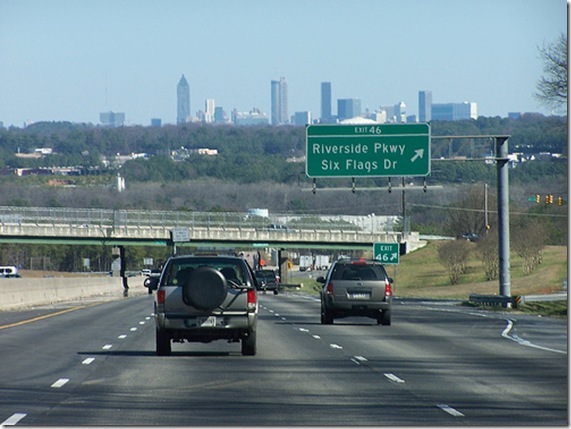 RideSmart is a carpool/vanpool referral service that is funded by the Federal Highway Administration, the Georgia DOT and the Atlanta Regional Commission. If you’d like to use these carpool matching services, call 770.949.7665 to talk to a RideShare Customer Service Representative. You can also register with the RideSmart program. Another carpool resource that is not a part of Douglas County’s Rideshare program that you might check out is the Georgia Carpool Center. Rideshare provides a Guaranteed Ride Home emergency service to get you home if you have to leave work early or if you miss your return trip home. The Guaranteed Ride Home emergency services provides up to five free taxi rides home each year.